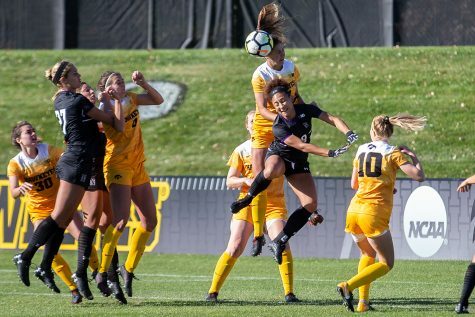 Iowa women’s soccer struggled on the road against Ohio State, but looks to bounce back against Penn State. 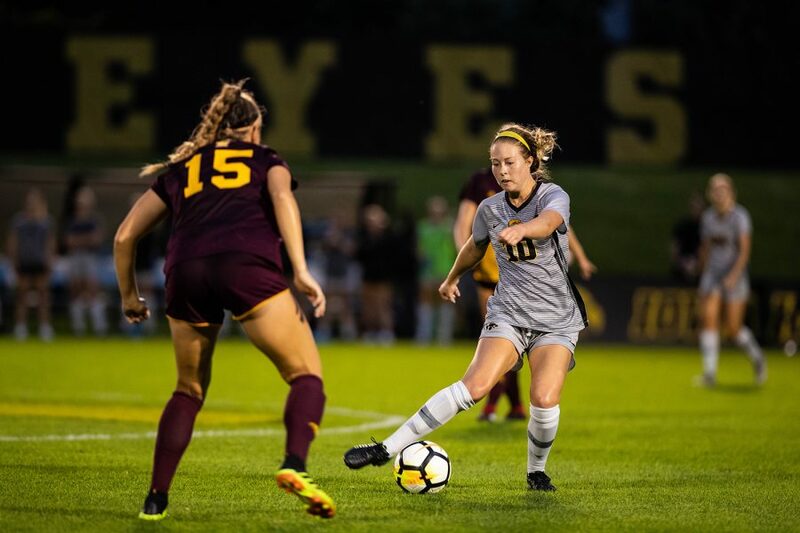 Iowa midfielder Natalie Winters plays a pass during Iowa’s game against Central Michigan on Friday, Aug. 31, 2018. 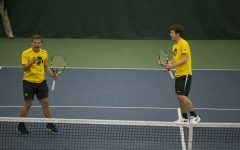 The Hawkeyes defeated the Chippewas 3-1. 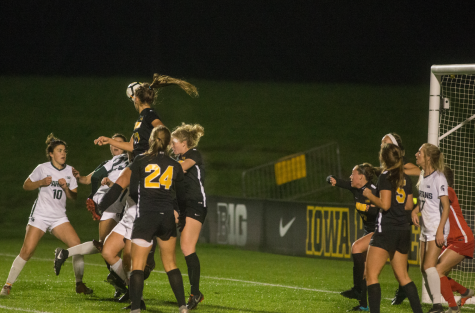 Winters scored the Hawkeyes’ third goal on a penalty kick in the second half. 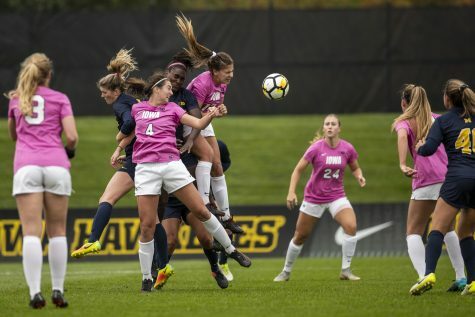 Hawkeye soccer fell to Ohio State, 2-0, on Thursday in Columbus. 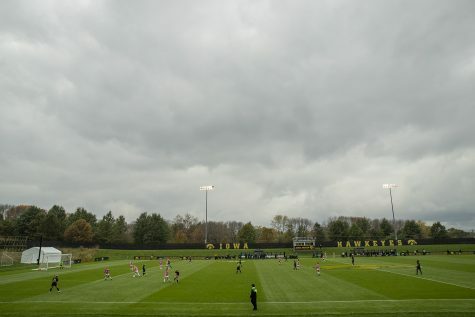 The Hawkeyes traveled to the Jesse Owens Memorial Stadium for their first match of another two-game road trip with an 0-4 record on the road. The game started slowly, with the Buckeyes leading, 7-1, in shots but with none on goal at halftime. However, the lone Iowa shot was on goal. 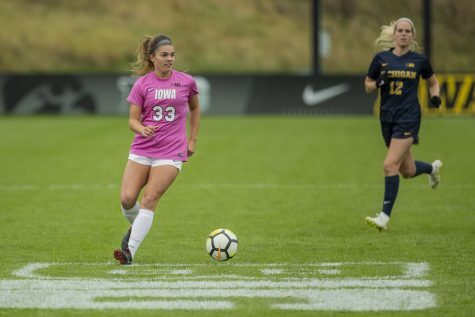 Iowa started with Cora Meyers in goal, but in the second half changed up its defensive scheme and put junior Claire Graves in goal. The defensive change didn’t work as well as the Hawkeyes had planned; Graves let in 2 goals on 3 shots. The Buckeyes had 6 shots in the second half, but only 50 percent of them were on goal. Meyers did not have to make a save in the first half. The Buckeyes scored in the 71st minute when Talani Barnett got a header on a corner from Izzy Rodriguez. 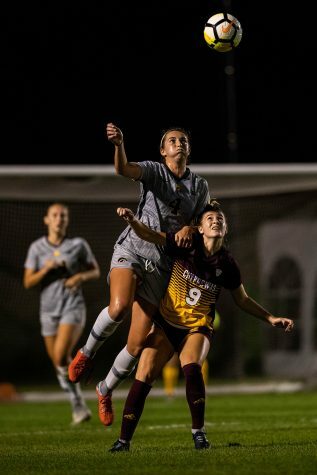 Rodriguez wasn’t done there; she converted a penalty kick in the 82nd minute for her second goal of the season. 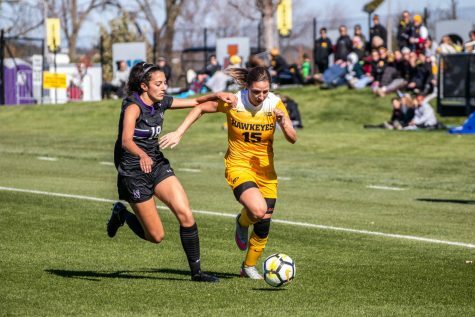 This game was yet another example of Iowa’s inefficiency on stopping set-piece goals and its trouble playing on the road. 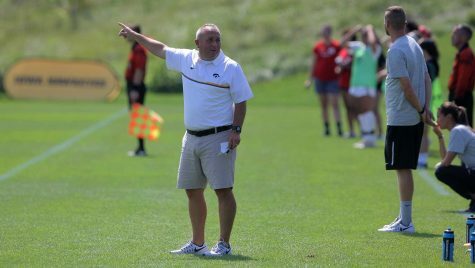 The Hawkeyes have struggled with both all season, and head coach Dave DiIanni stressed it all week. The Buckeyes more than doubled the Hawkeyes in shots, 13-6, but only placed 3 on net. The Hawkeyes ended with 4 shots on goal out of 6 total. After the loss, Iowa will try to turn its game around on the road against Penn State. The Nittany Lions are coming off a 1-0 loss to Nebraska to make its record 6-5-0. The Nittany Lions beat Ohio State earlier this year, 4-0, so the Hawkeyes are looking at a challenge. Penn State has a 4-3 home record. 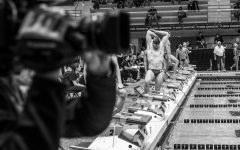 Penn State will be a difficult opponent, scoring 21 goals while only giving up 8. It is known to have a strong offense, so the Iowa defense will be put to the test. The Hawkeyes have played solid defense all year, and it showed against the Buckeyes, but they played too much defense for their efforts to show results in the final score. After the second road trip is done, the Hawkeyes have four days to rest until they play Nebraska at home. 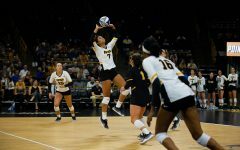 Iowa will need this time to focus on creating more offense and continuing to work on defending set pieces.